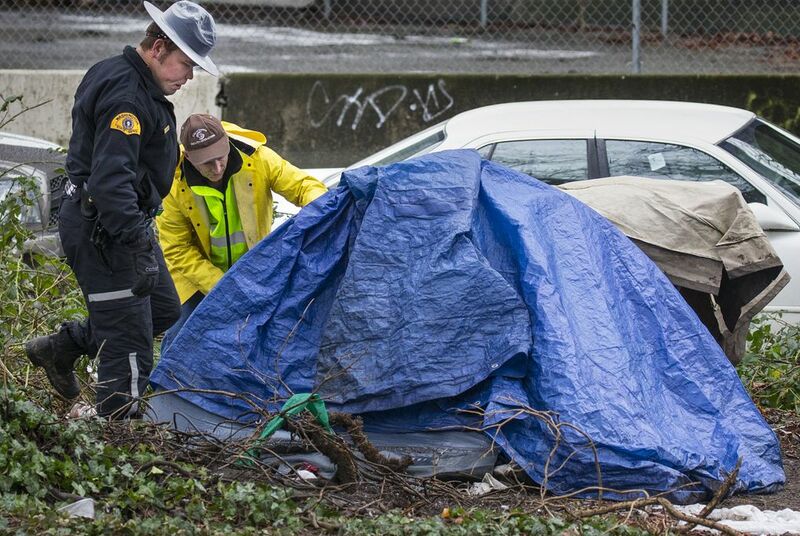 The two people killed in The Jungle on Tuesday night didn’t live there but may have been drawn back to the squalid encampment by an old demon — drugs. But most likely, it was drugs. That was certainly the reason Tran had gone there, said his girlfriend, Thuy Nguyen, in a tearful telephone interview Thursday. She described Tran, 33, as a loving boyfriend and would-be father to her two young children but said he had struggled for years with drugs and alcohol. Zapata’s family said she had beaten a crack addiction years ago and suggested she had gone back to The Jungle to visit friends. Tran and Zapata were killed Tuesday in a shooting there that left three other people injured and the city struggling with an emerging homeless crisis. 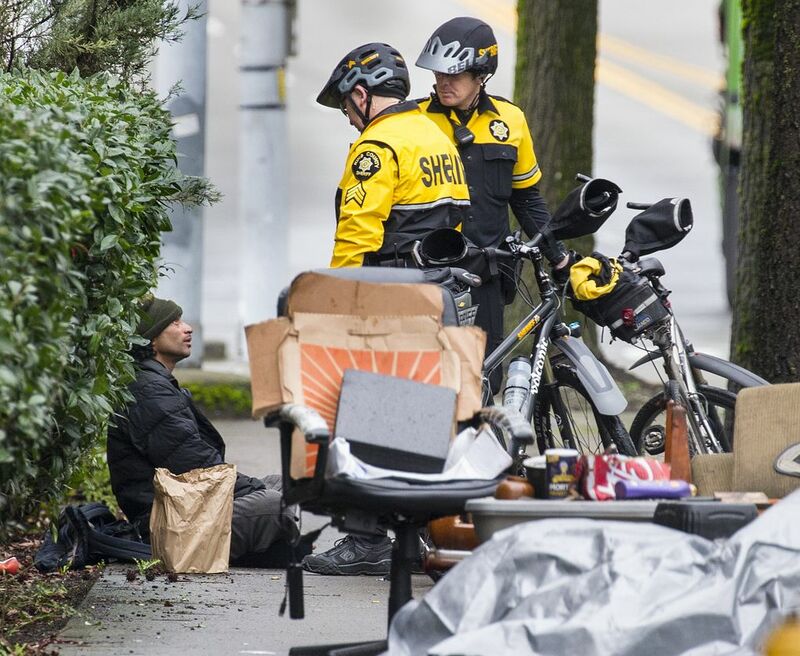 Seattle police have attributed the shooting to “low-level drug dealing” but have made no arrests. At least two firearms were used in the attack, police say. A male survivor was in serious condition Thursday at Harborview Medical Center. Two female victims have been upgraded to satisfactory condition, a hospital spokesman said. Nguyen said her boyfriend, Tran, was an unemployed manicurist, but she said he was looking for work. Court records indicate he was trying to get into drug treatment out of state. Court records show Tran had numerous arrests for drug-related crimes, the most recent being a 2015 charge involving attempted possession of drug paraphernalia. He pleaded guilty in November and was given a suspended 90-day jail sentence. Last Thursday, she said, they fought and he stormed out of their Kent home. He’d been clean for two months, she said, and suspected he just could not hold on “cold turkey” any longer. So he started a fight, Nguyen said, and used it as an excuse to go get high. It was a pattern. He’d done it before, she said. “He had problems, yes,” Nguyen, 30, said in a small voice. “But he never harmed me” or her two children from a previous relationship, ages 5 and 7. The thing was, she said, after a few days, he would always come home. This time, she had intended to teach him a lesson. After he left, she moved with her children to her mother’s house, hoping that when Tran came home to an empty home he might pull himself together. Records indicate Zapata had family in Montana and Seattle. Her reasons for being in The Jungle that night are suggested by a voluminous criminal history that began in 1989 and involves dozens of arrests for drugs, prostitution, assault and other mostly misdemeanor crimes. She was in and out of jail several times over the years, and in 2007 was convicted of a felony for possession of a stolen credit card. Her aunt, Kimberly Sundstrom, told KIRO-TV that she had been clean for several years and was living with a man in Renton. Sundstrom said that Zapata had lived in The Jungle for 10 years while she battled drugs, and believes she had gone there Tuesday to visit friends. “I don’t know why she was drawn down there,” her aunt said. A man who witnessed the shooting said the gunfire erupted as a group of people were sitting around a fire getting high. “The scale of things in there really surprised us,” said Assistant Seattle Police Chief Steve Wilske, also on Thursday’s walk, which included representatives from several public agencies, including Seattle police and fire departments, the Washington State Patrol and Public Health — Seattle & King County. Both men said it will take multiple agencies to address the needs of the encampment’s residents and make the area safe after Tuesday night’s deadly shooting. Scoggins and Wilske described the walk-through as “an assessment” of conditions, both safety and health. Scoggins said he did not directly address any of the people who live in The Jungle. The two officials and other participants will report their observations to Murray, who requested the assessment. Murray would like to see the encampment shut down. Wilske said the large greenbelt that the longtime homeless encampment takes up might be put to a use that more city residents could enjoy. David Postman, chief of staff for Gov. 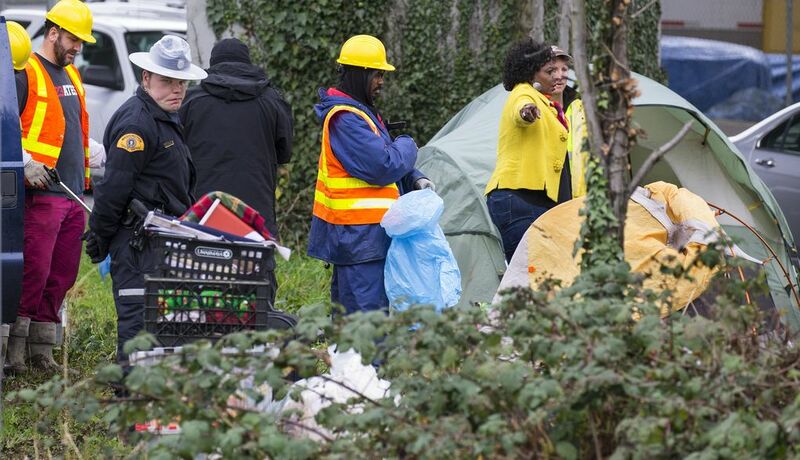 Jay Inslee, said Thursday that there have been conversations — both before and after the shooting — regarding the encampment. 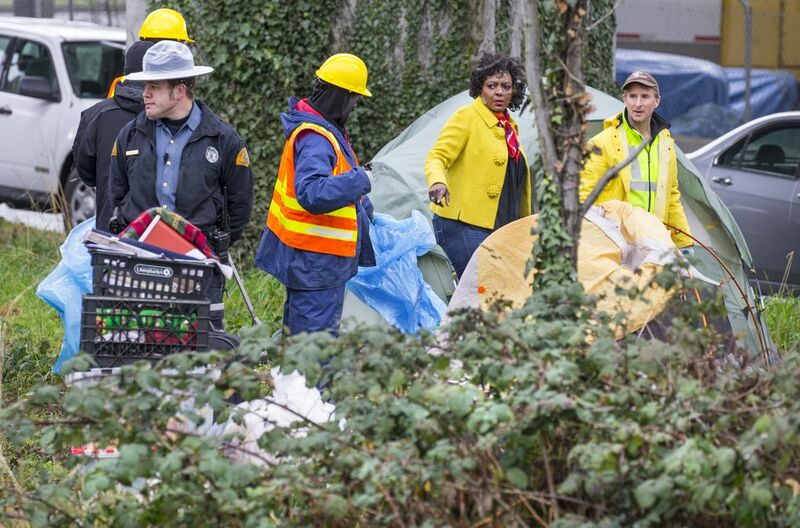 “The city and the county and the state have worked since 2008 … on a regular basis to go into the encampments that are in the right of way,” Postman said. “The city would like more frequent action and we’re talking about that; we’re not sure what exactly that looks like,” Postman said. Mike Carter: mcarter@seattletimes.comSeattle Times staff reporters Jack Broom, Joseph O’Sullivan, Christine Clarridge and news researcher Miyoko Wolf contributed to this story.